After a slight delay, Xiaomi today has officially announced its second-generation fitness tracker and heart rate monitor, the Mi Band 2. Unlike its predecessor, this features an 0.42-inch OLED display that is protected with scratch-resistant glass with anti-fingerprint coating. The display can shows time, steps taken and heart-rate data. A button is placed below the screen that let users easily change data that is shown on the display. The Mi Band 2 can track sleep, steps and other recreational activities, and it has a built-in heart-rate sensor that keeps eye on heartbeat. It is water-resistant certified with IP67 rating, and there is Bluetooth 4.0 LE wireless connectivity onboard that enable users to pair it with their smartphone. 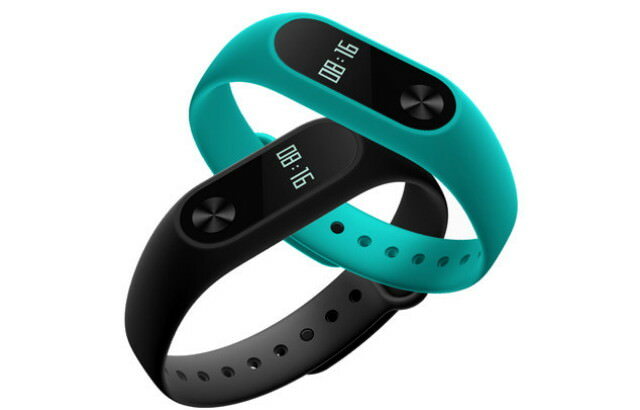 According to Xiaomi, the pedometer algorithm has been tuned for more accuracy when tracking fitness and sleep data as well as heart-rate monitoring. The fitness band is powered by a 70mAh battery, claimed to deliver up to 20 days of standby time in a single charge. The Xiaomi Mi Band 2 is priced at CNY 149 ($22 USD) and will be available for pre-orders on the company website starting today in China. It comes in black color with different colorful wrist bands available in Blue, Orange, Green, and Black.